For my birthday, my little sister sent me an amazing present... The Colette Sewing Handbook! I've been a fan of Colette patterns and sewing tips for a long time, but I didn't actually have any other their patterns. This book actually comes with FIVE of them, and a beautifully bound book of sewing advice, tips, and tutorials. I love flipping through the pages, and it's going to have a permanent home near my sewing machine. I'll keep you posted when I do my first project! I'm loving their new patterns for this spring, and I am sure I'll be investing in a couple of them in the future. 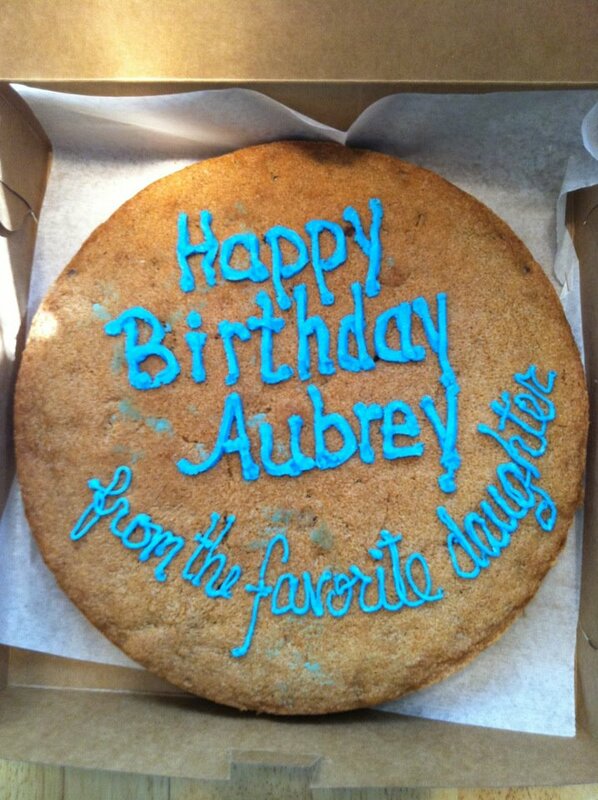 Oh, and my sis also sent me a hilarious cookie cake... even though she didn't include her name, I knew it was her. Money Matters @Mint... I'm obsessed!